Saint Paul, Minnesota— On Wednesday, March 6, Nexus staff member Chai Lee was sworn in to serve on the Metropolitan Council (The Met Council), representing District 13, which includes the eastern half of Saint Paul, Lilydale, Mendota Heights, Sunfish Lake and West St. Paul. Lee is a program coordinator for the Boards & Commissions Leadership Institute (BCLI) at Nexus. He joins 15 other members of the Met Council being sworn in March 6. The 16 members appointed on March 6 represent the 16 districts of the Met Council, which covers the seven county metro area. The chair of the Met Council, Nora Slawik, makes the 17thmember of the body, but is not appointed by geography. Chair Slawik was recently appointed by Governor Tim Walz to lead the council and is the former mayor of Maplewood, MN. The Metropolitan Council is the regional policy-making body, planning agency, and provider of essential services for the Twin Cities metropolitan region. It is a unique regional body unlike any other in the nation, whose roots date back to the 1960s, and was created with bipartisan support by the governor and legislature of Minnesota. The appointments were made by Minnesota Governor Tim Walz and Lieutenant Governor Peggy Flanagan, from a pool of over 200 applicants. “I am humbled and honored to be appointed to the Met Council by Governor Tim Walz and Lieutenant Governor Peggy Flanagan. I will do my best to bring to the table divers perspectives as I reach out and work toward engagement between Council staff, advisory boards, and my deep community relationships. 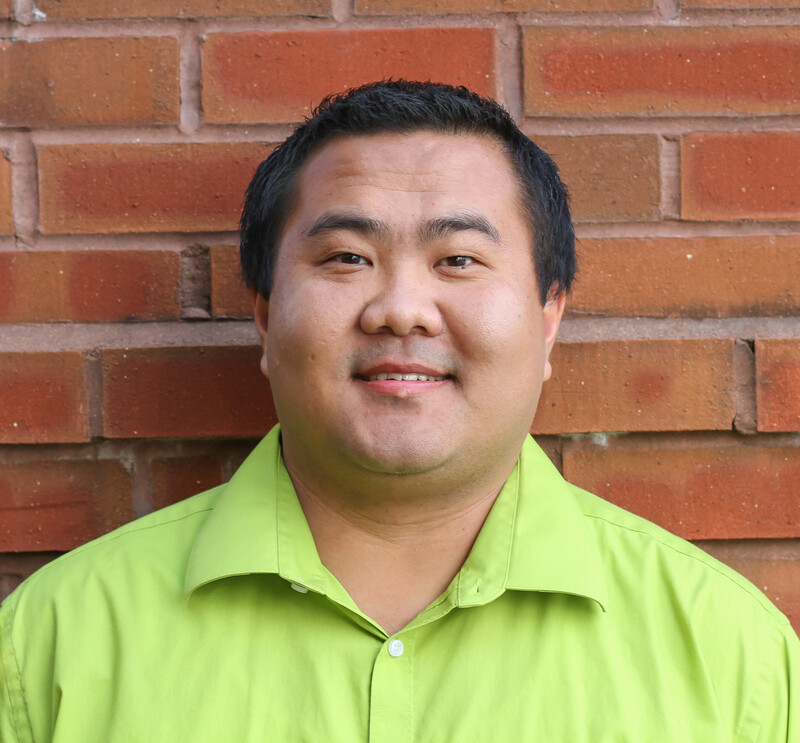 Most of all, I am proud to be at the table as someone in coming into this work from the unique viewpoint of Nexus, and the nonprofit sector, as well as my local government experience,” says Lee. “What I look forward to most is the opportunity to work on issues which impact all our communities so deeply, from planning for economic opportunity to affecting affordable housing and improving our infrastructure, I will work hard to strengthen the national and global competitiveness of our metro region through my work on Met Council. I am so proud and lucky to be working at Nexus, and my work and passion in diversifying boards and commissions will continue, and I can’t wait to help affect that as a Met Council Member as well,” Lee continued. Lee brings many years of community involvement to the table. 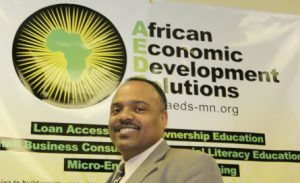 He has served on his neighborhood board, District 1, on Saint Paul’s east side, as well as a three-year term on Saint Paul’s Long-Range Capital Improvement Budget Committee (CIB), which is a board that reviews, ranks and recommends capital projects to the city. Nexus is seeking an experienced Program Manager to manage the national Leadership Learning Initiative (LLI), a new program in partnership with the Robert Wood Johnson Foundation (RWJF). The LLI will strengthen RWJF’s personal and institutional skills to understand and honor community-based leadership and improve RWJF’s leadership programming and investments to bring about greater health equity. Working closely with Nexus staff, our partners and RWJF, the position will coordinate and support the work through curriculum design and implementation, setting strategy and ensuring the initiative is reaching its goals. Determining how Nexus’s local community engagement and leadership development efforts can inform engagement and leadership strategies at a national level is the keystone for this position. The Program Manager will work closely with the Nexus staff and partners and will report to the President and CEO. • Plan and facilitate partnership meetings that help shape direction, strategy, and implementation of the LLI. • Provide details, guidance, and resources to partners and stakeholders in order to work efficiently and maintain positive and productive relationships. • Work with project team to identify tools and strategies necessary to advance LLI goals. • Plan and coordinate program and meeting logistics for the LLI. • Participate in data collection and evaluation to ensure the LLI is reaching its goals and maintaining accountability to the LLI, partners, and community. • Coordinate and facilitate learning opportunities for the LLI, partners and stakeholders. • Identify and develop relationships with community experts and other stakeholders to help develop and deliver content for the LLI and to build the fields of community engagement and leadership development. • Support the communications strategy as determined by the partnership. Components may include, the production of tools and resources, blogs, website, and social media. • Communicate progress and learnings to Nexus staff to ensure LLI is in alignment with and being informed by other Nexus programs. • Represent Nexus and the LLI partners to national audiences, especially those in the community engagement and leadership development fields. • Function effectively as a leader and problem solver by supporting organizational and programmatic goals. • Provide support as needed for other projects, such as the broader evaluation and communication for Nexus. • At least 3-5 years relevant experience in nonprofit and/or community work. • 3+ years’ experience in leadership positions, either in community, a volunteer position, or past employment. • Experience working in partnerships and collaborations cross-sectors and with multiple partners. • Proven ability to facilitate dynamic groups that have different levels of knowledge and/or understanding. • Demonstrated understanding of and experience with authentic community engagement and leadership development within communities of color. • Experience designing and/or delivering high quality, interactive learning opportunities. • Ability to think strategic and long-term while managing multiple projects and deadlines. • Capacity to work cross-culturally to achieve understanding and results. Ability to establish and maintain trust readily with a diverse set of partners. • Demonstrated understanding of the role culture and history has as a foundation for building strategies in cultural communities. • Knowledge of evaluation and data collection tools. • Knowledge of marketing/communications including blogs, social media, etc. • Proficient computer skills including Microsoft Office programs (Excel, Word, and PowerPoint). Design skills a plus. • Must have personal transportation available for use, ability and willingness to travel on occasion. THIS IS A GRANT DEPENDENT POSITION: May 1, 2019 – December 31, 2020. The ideal candidate would be able to start May 1, 2019. Nexus offers competitive compensation commensurate with experience and a highly participatory, mutually supportive workplace. We are committed to the personal and professional growth of all staff. Salary range: $60,000-$67,000 annually, plus a comprehensive benefits package as a full time employee. Nexus offers two health insurance options and pays for 80-90% of the coverage for the entire family. Employees receive 6 holidays and 6 optional holidays, and PTO. Nexus has a wellness program that offers 2 hours of wellness time each week, $500 of reimbursable wellness dollars each year, and staff wellness events. NEXUS IS AN EQUAL OPPORTUNITY EMPLOYER Qualified Black, Indigenous, People of Color (BIPOC) and LGBTQIA+ candidates are strongly encouraged to apply. What does it mean to center culture in community engagement? How do our cultural identities impact our relationships in community? How do we get closer to our own stories in order to move away from extractive relationships toward reciprocal relationships? On November 1st, 2018, Nexus Community Engagement Institute (NCEI) hosted the final Engaged Learning Series of 2018 to explore: What’s Your Story? How Identity & Culture Impact Community Engagement. Introductions at tables began with creating and sharing I Am Poems, many of which were left to share back with the group. Panelists Bilal Alkatout, Roxanne Anderson, Vina Kay and Susan Phillips spent the second half of the session sharing how personal identities have influenced how they are engaged, and how they engage others in community. Listen to the video below to hear their I Am Poem introductions. Following introductions, NCEI program director Avi Viswanathan asked the panel three questions followed by audience-panel Q&A. Check out the videos below to hear their responses to each question. Question 1: What does it mean to you to center culture in community engagement work? What identities are you drawing from? Question 2: How have your cultural identities been impacted by or impacted others when engaging community – either negatively or positively? Question 3: What advice would you give to this group to build authentic relationships centered in identity and culture? This Engaged Learning Series was a brief two and a half hours to begin the discussion about centering culture and identity in community engagement. Feedback from the group included a need to further explore cross-class perspectives and deeper discussion around the impact of white supremacy in community engagement. We hope to continue supporting each other at future Engaged Learning Series in these topics as well as other opportunities and challenges in community engagement. Check back here to register for future convenings. We hope to see you then! 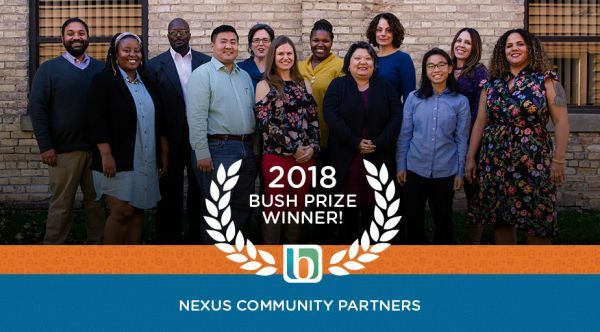 Nexus Community Partners is proud to be recognized by the Bush Foundation as a 2018 Bush Prize for Community Innovation winner! Nexus Community Partners has been at the center of innovative community capacity building efforts for 15 years. Our role as a community partner has served as a vehicle to bring partners from community, government, philanthropy and community development together to design and implement solutions to persistent challenges. The solutions have emerged over the years because of how we set the table; grounding partnerships in shared values and principles, nurturing authentic relationships, and creating intentional space for shared learning and impact. We want to thank all of our partners who we have had the honor of working with over the years. Together we are building more engaged and powerful communities of color. Nexus VP Theresa Gardella – a 2019 MCN Board Candidate! The Minnesota Council of Nonprofits (MCN) announced eight candidates for their upcoming board of directors election – and Nexus’ very own Theresa Gardella is one of those eight! Theresa and the additional seven candidates will be on MCN’s ballot for five open positions. Click here to read more about MCN’s board election process – voting will take place November 1, 2018. 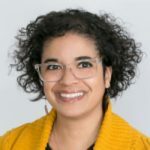 Theresa Gardella is currently the Vice President of Programs and Operations for Nexus Community Partners, a community building intermediary in the Twin Cities, committed to advancing racial and economic justice through transforming systems and strengthening leaders and organizations. She has over 25 years of experience in the non-profit sector and has served in a number of different roles including but not limited to, program officer, facilitator, program developer, and development director. 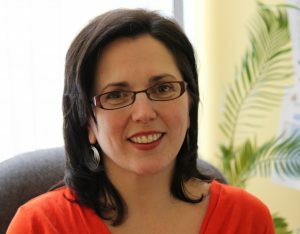 Theresa’s experiences have helped her gain valuable insights into the nonprofit sector’s unique assets and challenges. In her current role, Theresa builds strong relationships with Nexus partners and stakeholders, shapes strategy for the organization and helps to ensure organizational sustainability and program alignment to achieve Nexus’ mission. Theresa also oversees internal operations, organization development and supervision of program staff. In addition, Gardella co-founded the East Side Funders Group, participated in both the Shannon Leadership Institute and GEO’s Change Leaders in Philanthropy, and served as a Commissioner for the City of Roseville. Prior to joining Nexus in 2008, Theresa worked with domestic and international nonprofits, coalitions and government entities, helping to increase their capacity to more effectively accomplish their organization’s mission and goals. Gardella holds a Master of Arts in International Relations from American University in Washington, DC and a Bachelor of Arts in History from the University of Connecticut. So mark your calendars, and don’t forget to have your organization vote on November 1st for Theresa! Nexus is Hiring a Finance & HR Associate! Update 10/25/18: Deadline to apply extended to November 2, 2018. Nexus Community Partners Seeks a Full-time Finance and HR Associate (32 hours/week). Nexus Community Partners is a community-building intermediary whose mission is to “build more engaged and powerful communities of color by supporting community-building initiatives and fostering social and human capital.” We work to make sure that communities of color are at the forefront of making decisions that impact them and that they have the power and tools to generate and maintain wealth. Systems Change: As an intermediary, we bridge partnerships between other funders, partners in the public sector, and community partners (such as neighborhood organizations and small nonprofits) to develop more equitable systems in areas like transit planning, philanthropy, and public health. Capacity Building Support: As a funder, we strengthen the power of on-the-ground organizations in communities of color through financial support and technical assistance. We help these organizations build their leadership and organizational infrastructure, develop programs, implement community engagement strategies, improve their fundraising, and more. Building Leaders: We provide leadership development opportunities for people of color interested in influencing public policy and developing community wealth through cooperative economics. Manage the Accounts Payable process including processing invoices and check requests, recording monthly automatic payments, processing monthly employee expense reports, recording monthly credit card and debit reports, printing checks, and mailing payments. Assist with Accounts Receivable including recording and preparing deposits of checks received via mail, record electronic deposits, record grants received, and assist with Nexus’ invoices. Assist with the annual audit by preparing electronic and paper files in accordance with Nexus’ financial policies and working with the Director of Finance and HR. Assist the Director of Finance and HR in the areas of budgeting, financial reporting, and expense analysis. Assist with the hiring process including the posting of new positions, managing incoming resumes and inquires, printing resumes for review committees, responding via email to all applicants, and assist with onboarding. Assist with administering PTO including following up with Nexus staff and updating ADP. Assist with benefits administration as needed. Assist the Director of Finance and HR in other areas as needed. Associate’s degree preferred and/or 2-3 years relevant experience in nonprofit and/or community work. Experience working in A/P and/or A/R. Proficient in Microsoft Excel, required. Experience working in QuickBooks and/or QuickBooks for Nonprofits a plus. Curiosity and a willingness to learn. Ability to self-motivate and self-direct; organize own work, set priorities and meet critical deadlines. Flexibility regarding work assignments and ability to respond positively to changing demands and priorities. Demonstrated experience in exercising a high level of discretion and integrity in carrying out financial and HR support duties of a confidential nature. You need to be able to both see possibility and ask hard questions with respect and discretion. The ideal candidate would be able to start December 2018 or January 2019. Salary range: $19.00 – $23.00/hour plus a comprehensive benefits package as a full time employee. Nexus offers two health insurance options and pays for 80-90% of the coverage for the entire family. Employees receive 6 holidays and 6 optional holidays. Nexus has a wellness program that offers 2 hours of wellness time each week, $500 of reimbursable wellness dollars each year, and staff wellness events. The Finance and HR Associate will report to the Director of Finance and HR. Qualified Black, Indigenous, People of Color (BIPOC) and LGBTQIA+ candidates are strongly encouraged to apply. Nexus Community Engagement Institute (NCEI) is proud to welcome Caitlin Schwartz, Sindy Morales Garcia and Venessa Fuentes to our NCEI Advisory Committee! NCEI advances and strengthens communities through equity-based community engagement, both locally and nationally. The NCEI Advisory Committee is composed of local community engagement practitioners who guide and support the work of the Institute, helping to provide vision and strategy as well as to develop and co-lead trainings and workshops on community engagement with NCEI staff. We’re honored to have the wisdom and experience of Caitlin, Sindy and Venessa to help ground and guide this work moving forward – please help us welcome them to the team! 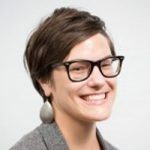 Caitlin Schwartz has over 12 years of experience in community engagement, organizing, and grassroots leadership development, most recently working on Metro Transit’s Community Outreach & Engagement Team and serving as board member and development committee chair with the Headwaters Foundation for Justice. Her passion is in constituent leadership and ensuring that people are centered in the planning and decision-making that impact their lives. A first-generation college student, she received her Bachelor of Arts from the University of St. Thomas, studying Justice & Peace Studies and Sociology. Driven by a commitment to equity and wholeness, Sindy works with Wilder’s Community Initiatives team to catalyze the cultural shifts needed to co-create transformational and sustainable change. Her work is informed by a rich tapestry of experiences in higher-education advocacy, community collaborations, and faith-based activism. 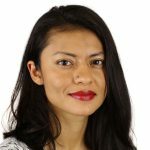 As a facilitator, Sindy enjoys cultivating spaces of meaningful reflection and dialogue that enable participants to strategically advance new thinking and action in their lives and work. Originally from Quetzaltenango Guatemala, Sindy comes from a family of community organizers. Her family’s narrative of struggle, resilience, and strategic disruption led her to center her personal and educational journey on deepening her understanding of liberation, healing, and social justice. This includes a degree in Reconciliation Studies at Bethel University, community organizing and public policy at the Silberman School of Social Work, and liberation theology and social ethics at Union Theological Seminary. Venessa is a local artist and advocate who, since 1997, has worked in Twin Cities arts, community development, and grantmaking nonprofits. Recently, she held positions at the Bush Foundation and Jerome Foundation – both in grantmaking and communications. Venessa is an alum of the inaugural cohort of the Ron McKinley Philanthropy Fellowship. Annelise’s Nexus journey began summer 2016, when she joined the staff as a New Sector Alliance intern. She worked on Metro Transit’s Better Bus Stops Project, handling project coordination and reporting around bus stop accessibility and revitalization. During her work with Nexus on the project, Annelise had a realization. “It was my first experience in programming, and I realized, I loved my job and I loved Nexus. From there, I wanted to learn Nexus’ operations, communications, development — literally everything about the organization,” Annelise said. 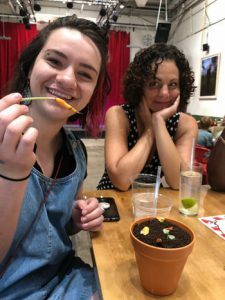 Once the summer ended, Annelise was able to continue her internship at Nexus as the Capacity Building Assistant while finishing her degree at the University of Minnesota. As the Capacity Building Assistant, she focused primarily on development and HR, deepening her knowledge of Nexus and philanthropy. She continued to work at Nexus throughout her senior year and when Annelise graduated in May 2017, she had a job waiting for her; however, mental health challenges had her in and out of the office and she was eventually hospitalized. Despite this, Nexus supported her. “I was told, ‘don’t worry about Nexus. Your job will be here. We just care about you.’ I felt like I could be authentically myself in a professional environment. Never before did I feel comfortable telling a supervisor I was being hospitalized, and here I was — bringing my full self to this space and being vulnerable,” she said. When she returned, she was accepted with open arms — and a new job title: Program and Operations Associate. In this role, she focused more on development, grantmaking, and communications. While molding her professional career, Annelise felt herself transforming and growing personally. So what’s next for Annelise? She’s off to Boston to become a Jewish Organizing Institute and Network (JOIN) for Justice fellow. As a fellow, she will continue to explore her role in racial equity work, participate in community organizing, and develop strategies for wealth distribution. Though she’s preparing to work on the east coast, Annelise is keeping her Nexus experience close.